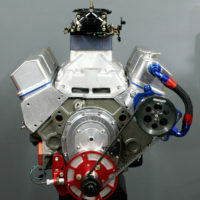 A great all-in-one racer’s tool available from Summit Racing is the Hot Rod Calc by Mr. Gasket. This convenient hand-held Street and Strip Performance Calculator is programmed to calculate your vehicle’s performance based on local track temperature and elevation, atmospheric pressure and moisture content. It helps you compensate for the Air Density index and Density Altitude and predicts their effect on your car’s Speed and ET for both 1/4 -mile and 1/8-mile tracks. You can enter your car’s weight or calculate it from a known ET and HP or MPH and HP. 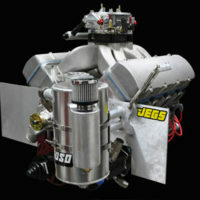 It calculates MPH based on weight and HP or from tire diameter, gear ratio and RPM. Calculate changes in tire size and the effect on gear ratio and speedometer readings or you also can enter the gear ratio and calculate for tire diameter, RPM or speed. It also comes pre-programmed with the most important engine building math formulas. 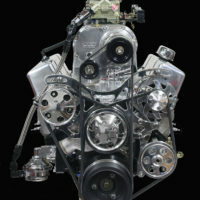 Calculate engine displacement in cubic inches, CCs or liters. 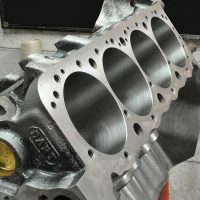 You can calculate compression ratio by entering the appropriate engine measurements and you can determine the amount to mill a cylinder head to achieve a desired compression ratio. 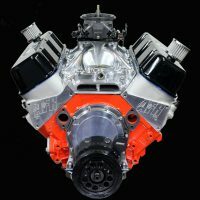 The Hot Rod Calc computes piston speed, volumetric efficiency (VE), carburetor airflow requirements, horsepower and torque, RPM, bore and stroke effects and a host of other functions. And it features convenient conversions between US and metric units for fluids, weight, temperature, torque and speed. 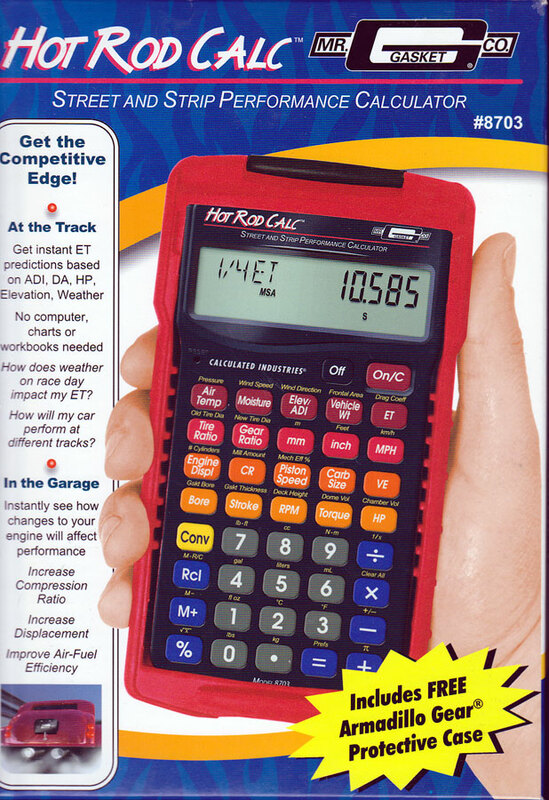 Mr. Gasket's Hot Rod Calc is the ideal pocket calculator for all engine building and track tuning requirements. It is powered by 2 long life LR-44 batteries and comes with a tough Armadillo Gear protective case, Users Guide and a Quick Reference Guide for the track. 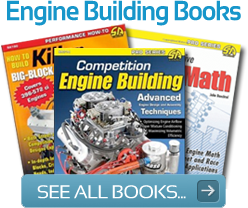 It is the ideal quick reference tool for all engine builders and performance enthusiasts and it is evident that Mr. Gasket went to considerable trouble to provide all the detailed results you could ask for. 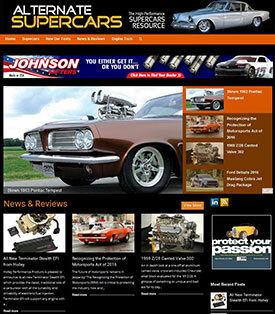 In our exhaustive Hot Rod Engine Tech review it performed flawlessly, delivering fast accurate results every time. The protective case and tough damage resistant display screen are major pluses for heavy duty use. The function keys are large, well marked, easy to press and the display function is easy to read under most lighting conditions. 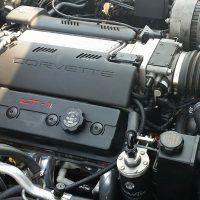 We rate it a superior value and predict that most users will find it indispensible to their engine building and tuning efforts. Predicts elapsed time and trap speed for ¼ mile and ⅛ mile runs. Automatically calculates Brake HP given Torque and RPM, ET and Weight or MPH and weight. Enter or calculate local track conditions, including absolute pressure, air temperature, moisture, elevation, air density index and density altitude, wind speed and direction and predict their effects on your ET and speed. 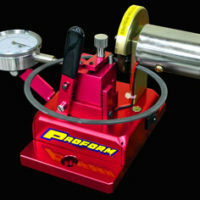 Calculate speed given vehicle weight and HP or tire diameter, gear ratio and RPM. 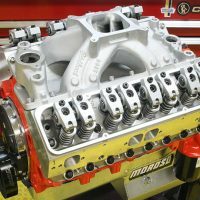 Instantly see how changes to any of 8 engine measurements can increase your Compression Ratio -- deck height, dome volume, chamber volume, gasket thickness, gasket bore, bore and stroke and/or milling the heads. Enter target engine displacement and current stroke to calculate the new bore or enter displacement and current bore to calculate new stroke. Fluid conversions for gallons, fluid ounces, cc, ml, liters, temperature conversions for Celsius and Fahrenheit, weight conversions, metric and imperial conversions. Calibrate the calculator's mechanical efficiency setting to more closely match a car's time. 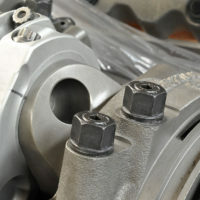 Calculate fuel correction index to determine new jet flow requirements. Works as an everyday calculator. Two 1.5 volt LR-44/A76 long-life batteries. 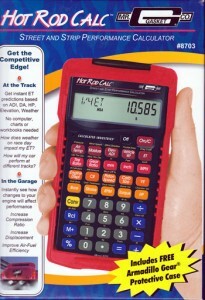 1-Hot Rod Calc Road and Strip Performance Calculator, 1-easy-to-follow user’s guide, 2-Long-Life batteries (LR-44). Size - 5.6" x 3.0" x 0.6" (145 mm x 75 mm x 15 mm). Weight - 4.16 oz. (118 gm) Includes cover and user's guide. Power - Two 1.5-volt (LR-44/A76) Long-life batteries (included). Display - 8 Digits with full annunciators. Display Dimensions - 0.625" x 2.5" (16mm x 64mm). Accuracy - 12 Digit Internal Accuracy. 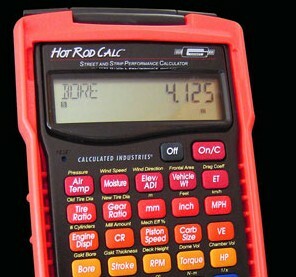 The Hot Rod Calc Road and Strip Performance Calculator comes with a full one-year manufacturer's limited warranty. The Hot Rod Calc Road and Strip Performance Calculator is manufactured by Calculated Industries, and distributed by Mr. Gasket a division of Prestolite Performance. 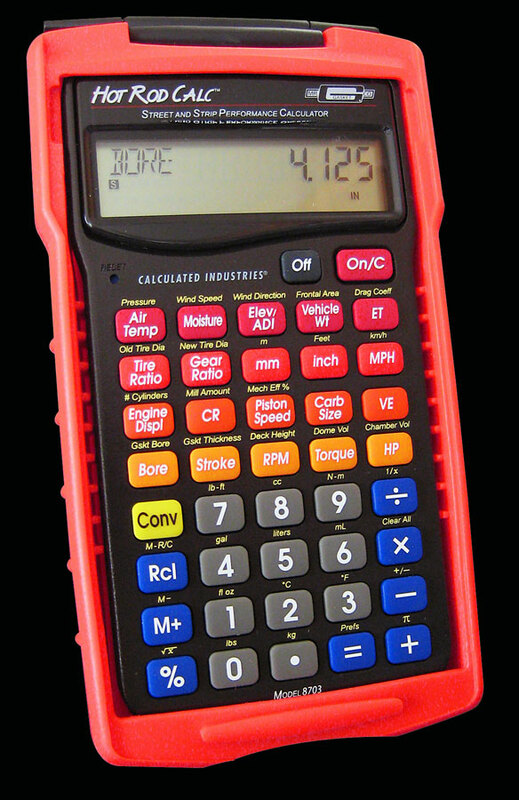 Founded in 1978, Calculated Industries (CI) is the country's leading manufacturer and marketer of specialty calculators and digital measuring tools. For 30 years, Calculated Industries' products have helped more than 8 million busy professionals work better, faster, and more efficiently with easy-to-use, portable solutions. Mr. Gasket, headquartered in Cleveland, Ohio, distributes a variety of performance and racing products for all parts of your vehicles. 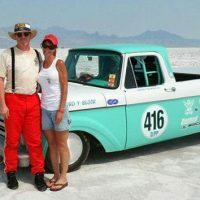 Mr. Gasket's Hot Rod Street and Strip Performance Calculator is the world's first ET predictor calculator that features built-in motor building and performance solutions. At the track, this calculator will show how temperature, elevation, pressure and moisture will affect your times. In the garage, use it to instantly calculate how changes in your car's engine and fuel system will increase compression ratio, increase displacement, improve air-fuel efficiency and affect performance. It comes with an easy-to-follow users guide, a quick reference guide, two long life batteries, and is backed with a full one-year limited warranty.